P2P communications protocol for sending encrypted messages (beta). Is there a better alternative to Bitmessage? 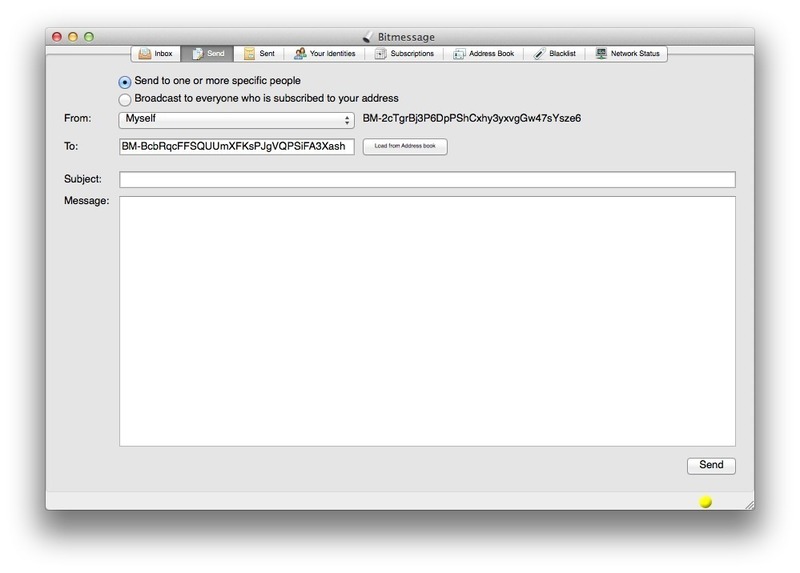 Is Bitmessage really the best app in Email and Messaging category? Will Bitmessage work good on macOS 10.13.4? Bitmessage is a P2P communications protocol that is specifically used to send encrypted messages to a friend or to multiple subscribers. Bitmessage is trustless and decentralized, which means that you need to trust all entities like root certificate authorities. The application also uses strong authentication, meaning that the sender can't be spoofed. On top of that, Bitmessage aims to hide data like message receiver or sender, making it a lot more secure. This version is an update on 0.6.3 with a more strict exploit mitigation code. Users of 0.6.2 should either upgrade to 0.6.3.2 or downgrade to 0.6.1. Bitmessage comes with an intuitive interface that allows you to send messages, manage received messages, identities, subscriptions and address book. In addition, you can also view network usage information, if needed.